They say a picture is worth a thousand words, so we’d like to show you some pictures of black mold. You might think household mold is not such a big deal, but when you see a picture of toxic black mold covering a wall, well, you might think again. Black mold spreads rapidly, so what starts out as a little bit of mold in a corner can quickly grow to nightmarish proportions. 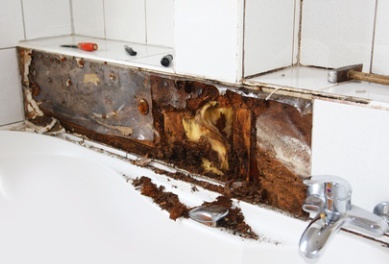 Black mold, officially known as stachybotrys chartarum and sometimes referred to as toxic mold, is typically black and slimy in appearance. Its appearance may vary somewhat depending on what type of surface it’s found growing on, though. It is typically found in areas that stay damp, whether from a leak in the roof, leaky pipes, leaky toilets, or leaky windows. 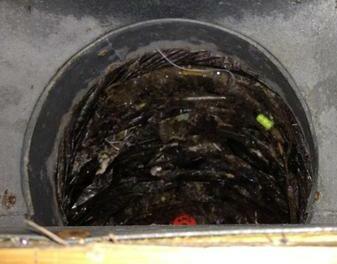 It can also begin to grow after a home has been flooded. We’ll show you some examples of what black mold may look like. Here is a picture of toxic black mold growing on a wall. 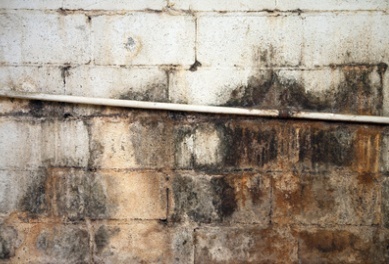 When you see a lot of black mold on a wall like this, there is often mold growing inside the wall, as well. It’s usually impossible to clean walls like this. In such cases, it’s usually necessary to remove the drywall and insulation and replace them with new, mold-free materials. 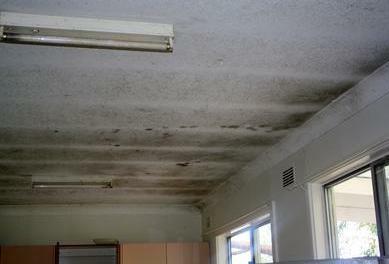 Here is a picture of black mold growing on a ceiling, which often happens after a roof has been leaking for a while. 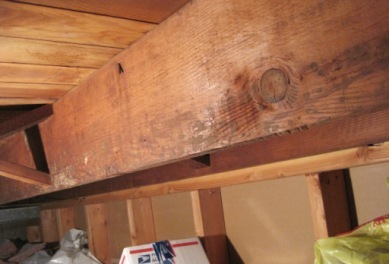 If you see mold on your ceiling, there is a good chance you have mold in your attic, as well. Mold can also grow on floors, of course. Here’s a picture of toxic black mold growing on carpet. 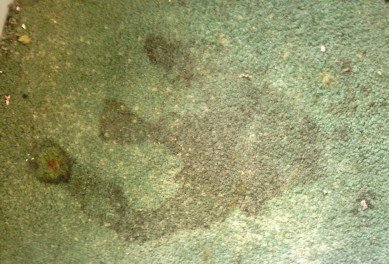 If you see mold on carpet, there’s probably mold under the carpet, as well. It’s usually impossible to remove mold from carpet; in most cases, the carpet must be removed and replaced. Black mold can be found in any part of the home. 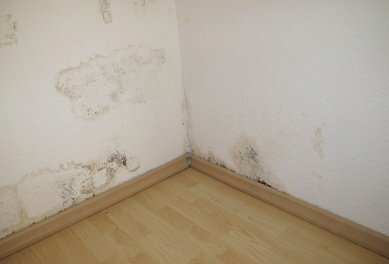 Here are some pictures of black mold in different areas. What If You Have Mold That Looks Like This in Your Home? So what if you have mold that looks like these pictures of black mold in your home? Well, your health, and the health of your entire family, is at risk. Black mold is sometimes referred to as toxic mold because it produces mycotoxins that can cause numerous health problems, including breathing problems, asthma attacks, respiratory infections such as pneumonia, coughing, sneezing, headaches, sore throats, exhaustion, and depression. It can even make your pets sick; some families have lost pets due to serious infections and other health problems related to exposure to black mold. If you have mold like this in your home, you need to get it cleaned up as soon as possible in order to prevent health problems from beginning or worsening. If you have black mold covering a large area (greater than ten square feet) or mold growing in your heating and ventilation ducts, the Environmental Protection Agency recommends having a professional handle the cleanup. If you have and mold-related health problem, or health issues such as asthma that might be worsened by exposure to mold, it’s also best to have a professional handle the job. If you need to hire a mold removal professional, or if you’d just like some free expert advice about the mold in your home, you can schedule a free consultation with a mold removal professional. Just follow the link to find experienced professionals near you.